Check out Epic Cosplay Wigs for amazing cosplay wigs! 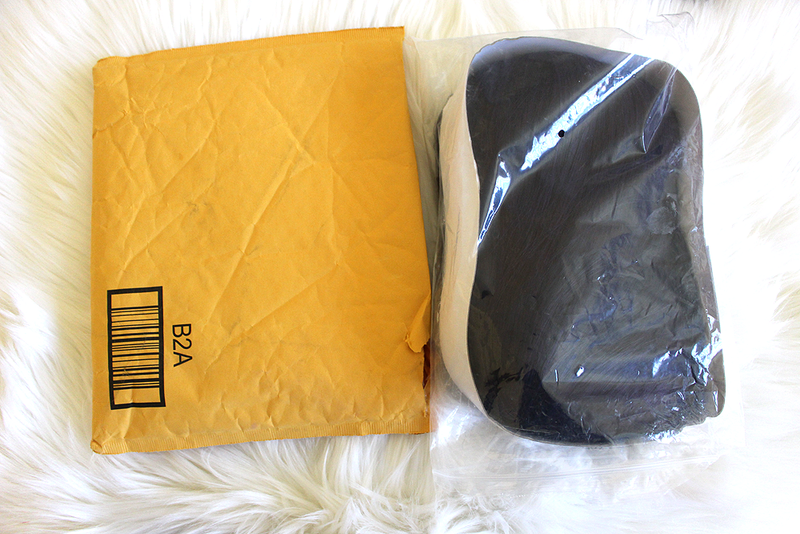 The wig comes in this packet wrapped in a black wig netting and placed inside a plastic zip-lock back. The wig looks just like the stock photo, only a little bit darker. That is probably due to different lighting. The wig is a purple black fusion, so there is a mixture of black and purple hair strands. It looks absolutely beautiful! This wig very comfortable and the hair net gives plenty of space for your head! I have a rather large head and excessive hair (my hair is really long) and I was able to fit all of my hair in this wig without any complications! The quality is judged based on the price of the wig. This wig is priced at $37.99 and I definitely believe that it is a great price for a wig of this quality! The wig is extremely soft and easy to brush through. As I was brushing the wig, I did not experience any hair fall out. This is a big plus! The color of this wig is absolutely beautiful! I absolutely adore the purple and black fusion mix. 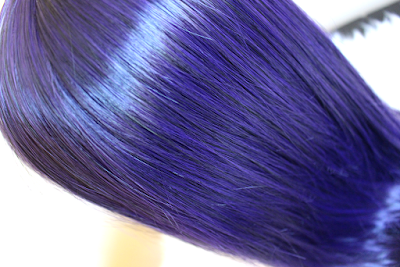 When you are outdoors or in a location with bright lights, the wig appears to be a medium purple color. 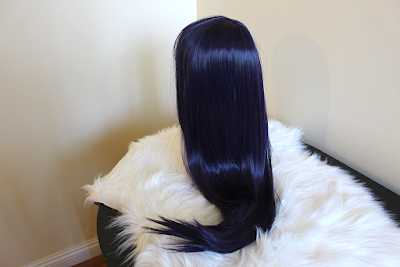 With darker lighting or indoor lighting, the wig appears to be a dark purple and almost black. I will be using this wig for my Minene (9th from Mirai Nikki) cosplay, it looks just like her hair! This wig is also suitable for a Rize cosplay. However, this color is darker than her actual hair color in the anime. Shipping was very fast! I received my order within a week and a half. Overall, I would recommend Nyx Purple Black Fusion Wig! It is very comfortable and high quality. I love the color and length of this wig!